Hemplucid’s Water Soluble CBD tincture is a popular product for its potency, versatility, and the rapid onset of its effects. 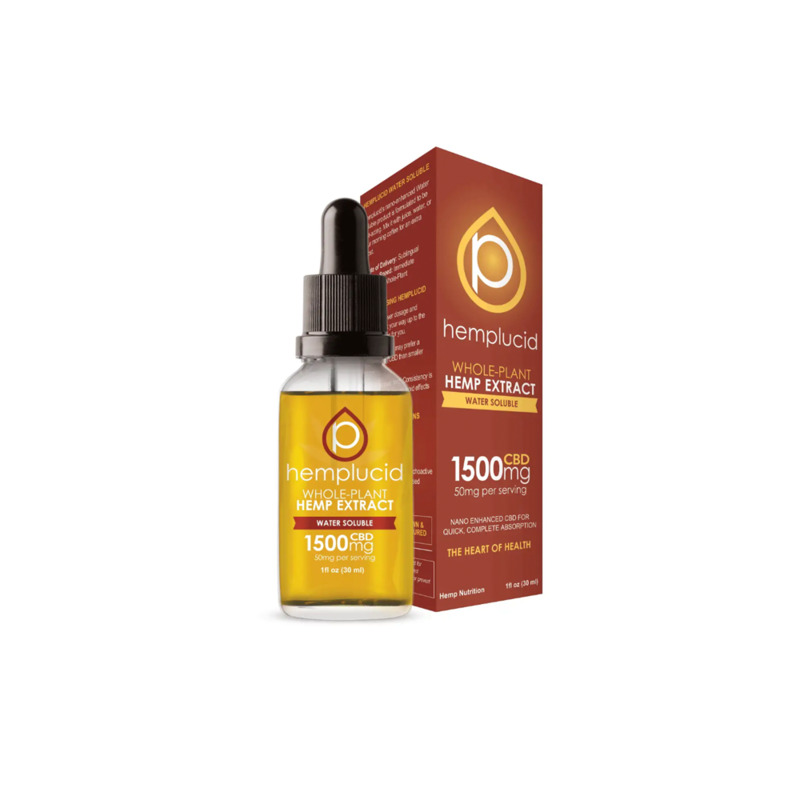 This unique tincture uses a vegetable-glycerin carrier oil that mixes easily with water and thus disperses cannabinoids into the bloodstream rapidly and effectively so that its effects are immediately felt. Our Water Soluble is developed with nano-technology to boost bioavailability. Because the nano-CBD particles are microscopically small, they are easily dissolved into the bloodstream and the body is able to utilize them more quickly and efficiently than common oils. Use Water Soluble CBD under the tongue, mix in a drink or even vape.